Journey through the Shadowlands | One man’s journey through the shadows toward the Light. “A cancer fighting warrior,” this best describes our grandson, the children and young people, and yes adults, who fought and are fighting cancer. It is the description used by parents to describe their children. 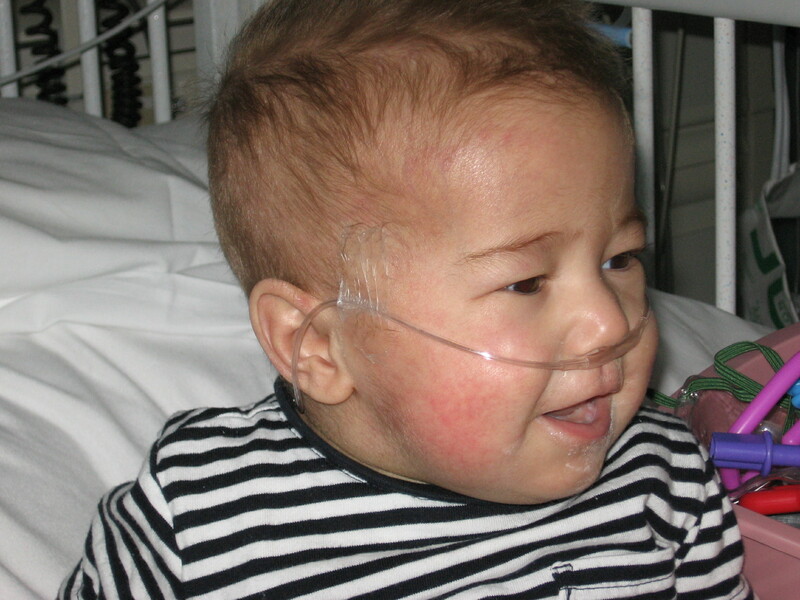 Of course, there are so many children and adults who are fighting other life threatening diseases and injuries. Children and adults for whom “fighting warrior” is the best description. I have heard similar descriptions given by parents of their children who were cancer fighting warriors. Sully taught us, encouraged us, made us laugh, kept us going, as he so courageously fought for thirteen months of his fifteen month life. Tyler Trent inspired a university football team and so many others with his courage and his encouragement. For Sully, for Tyler, and so many like them, compassion, yes. Love and support, yes. Encouragement and presence, yes. Pity, no. They are heroes among us. 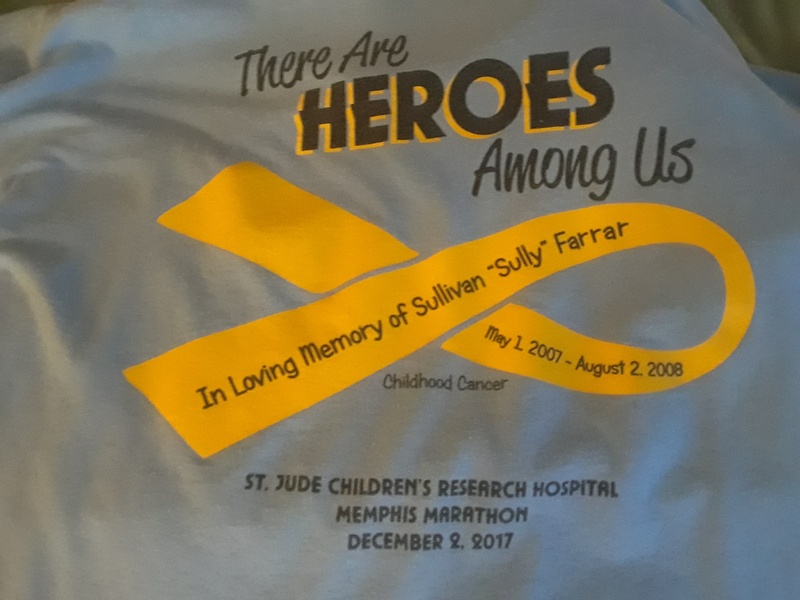 “Heroes”—this message is on a shirt designed by his parents remembering Sully and all the children whose lives are stricken by pediatric cancer. 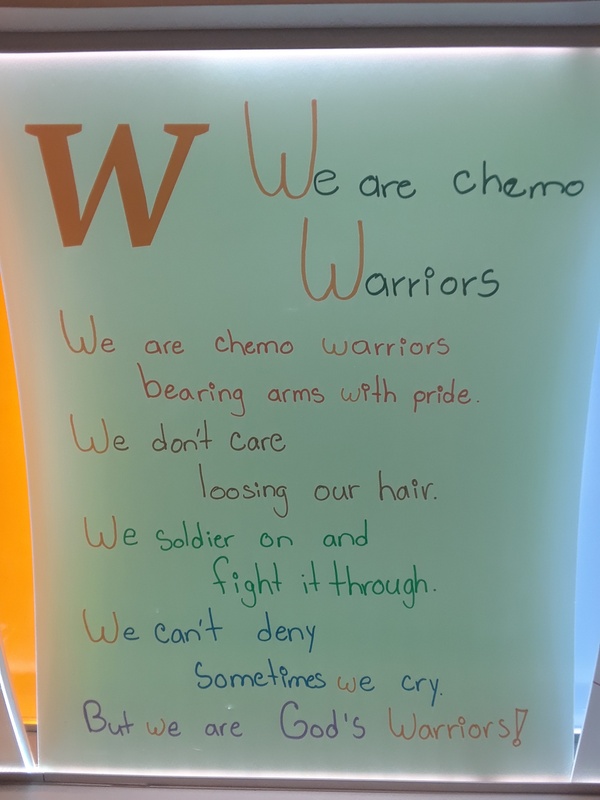 “Warriors”—a message declared by a patient at St. Jude Children’s Research Hospital, displayed for all to read who walk by the Alphabet Wall at St. Jude. My wife and I took a trip this past Thanksgiving. In a hotel I turned on the television. The movie Elf was playing. 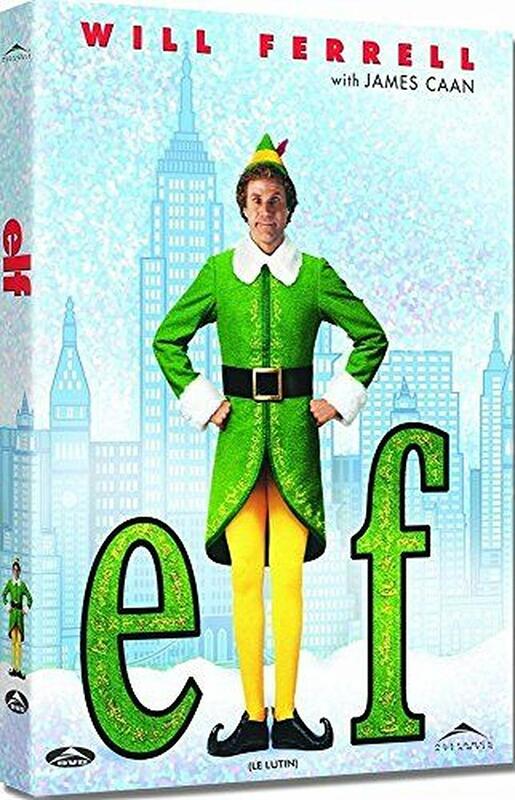 This movie has become a Christmas classic for many. I watched. Had some laughs. Santa Claus getting stuck in Central Park especially caught my attention. As Buddy and Santa find each other in the park Santa explains why his sleigh is grounded. “The Clause meter suddenly just dropped down to zero. There’s just no Christmas spirit anymore.” Then there is what Santa says to Buddy’s brother Michael when Santa’s sleigh lifts up off the ground. “You made my sleigh fly….This baby used to run solely on Christmas spirit. You believed in me. You made my sleigh fly.” As the dreaded Central Park Rangers and their frightening horses close in on Santa, Buddy’s girlfriend leads a crowd gathered outside the park in singing Santa Claus Is Coming to Town. As they sang the Christmas spirit grew in their hearts and they once again believed in Santa Claus. The Clause meter began to rise and Santa, sleigh, and reindeer were on their way. Wait a minute, I thought, this is what many people think about God. He is only as strong and as able as the amount of faith people have in him. God is limited by our limitations. What happened to Jesus’ words “faith the size of a mustard seed”? Unlike Santa and the Claus meter, God is not energized and fueled by our faith. God is not waiting for me to have enough faith so He is able to work in my life. “The God who made the world and everything in it is the Lord of heaven and earth and does not live in temples built by hands. And he is not served by human hands, as if he needed anything, because he himself gives all men life and breath and everything else” (Acts 17:24-25). God acts out of his very being as Creator and Almighty God. He acts out of his wisdom, patience, mercy, kindness, righteousness, holiness, and love. Thank God he does. We could never believe enough to empower God to be and to do as he already is and does, the Lord God our Creator and Savior. Ten years ago today our daughter called. 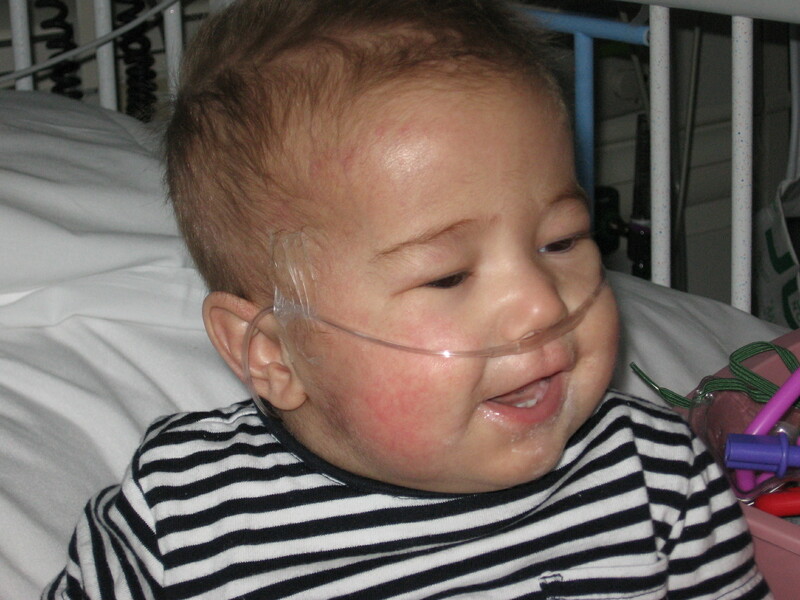 “Come to the hospital.” Her son, our grandson, Sully, was nearing the end of his life at the age of fifteen months. We spent the day, family, friends, hospital staff, saying “good bye”, holding and hugging Sully, holding and hugging each other. Room 14 on the BMT unit at St. Jude Children’s Research Hospital in Memphis. 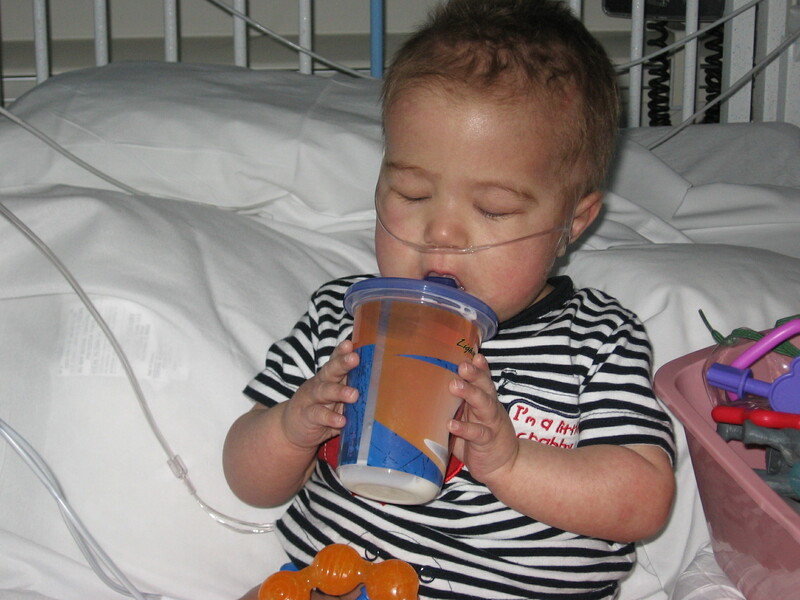 We watched Sully for thirteen months wage a fierce and courageous battle against leukemia. During his short life we watched this little man defeat death more than once. Sully’s fight, his spirit, his sweetness, and his smile, blessed us all. Sully was God’s gift to us. The prophet Isaiah wrote, “and a little child will lead them” (Isaiah 11:6). Oh how Sully led and taught us. The pictures are from July 25, 2008, nine days before Sully took his last breath. These pictures are evidence of Sully teaching us that no matter how painful life can be, there is reason to smile. There was a toughness of spirit within Sully which was a gift from God. Grumble and complain, Sully did not. There were cries and screams of pain, which broke our hearts. Yet a moment or minutes later Sully was smiling and playing patty cake or waving his hand or “I-I” or peek-a-boo or throwing a kiss. Sully loved and enjoyed people—people, reason to smile. Sully taugh t us that the Lord did make this day. The Lord—reason to smile. Sully taught us not to waste life wallowing in the difficulties. In the midst of all the struggle, the pain, and the grief of those thirteen months, the one suffering the most, little Sully, was the one bringing us joy with his smile, his grunts, his kisses, and his laughs. He taught us to smile and to live with hope. Life becomes so filled with the seriousness of what amount to small things, ultimately unimportant things. We spend our days and nights consumed with the urgent, with wants of toys and pleasure, and with energy draining efforts to get, to achieve, and to have. We forget the important things. With his sweet spirit Sully taught us to remember the important—a good attitude, a smile, a “thank you,” a “let me help you,” people, and above all, God. The prophet Jeremiah writes of his suffering in Lamentations 3. As I understand his words he lays his suffering at the feet of God; he blames God for it. “I remember my affliction and my wandering, the bitterness and the gall. I well remember them, and my soul is downcast within me” (Lamentations 3:19-20). 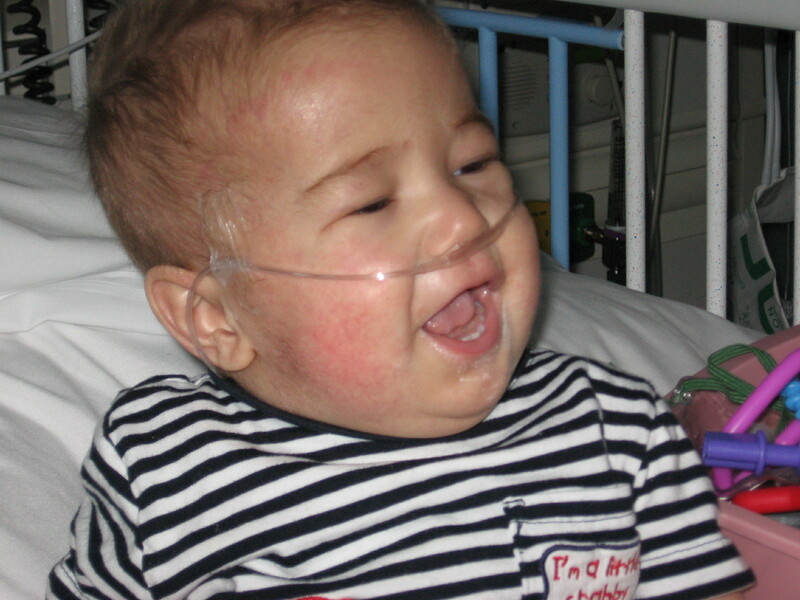 If anyone had a right to speak these words Sully did, but he smiled; he loved; he gave joy. 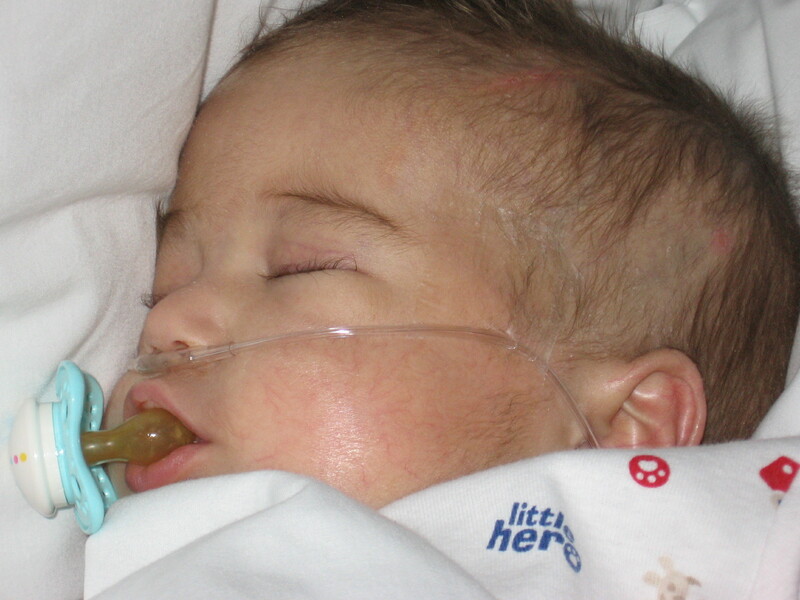 I know his little mind could not form th e thoughts as we can, but with his spirit Sully taught us. He taught us that with all the suffering and the questions his suffering brought, it all ultimately comes down to this—trust God. Out of the depths of suffering the prophet went on to write, “Yet this I call to mind and therefore I have hope: Because of the Lord’s great love we are not consumed, for his compassions never fail. They are new every morning; great is your faithfulness.” Sully helped us understand these words. Sully helped us understand the words of Jesus in Matthew 18:1-4. “At that time the disciples came to Jesus and asked, ‘Who is the greatest in the kingdom of heaven?’ He called a little child and had him stand among them. And he said: ‘I tell you the truth, unless you change and become like little children, you will never enter the kin gdom of heaven. Therefore, whoever humbles himself like this child is the greatest in the kingdom of heaven.” And so you are Sully, and so you are! Ten years ago, remembering, loving, and missing you Sully. Thank you for being our teacher. Thank you for leading us. Thank you Lord for your gift and for the hope we have in Christ. Consider the new song of praise sung to Jesus Christ, the Lamb of God. “Worthy are you to take the scroll and to open its seals, for you were slain, and by your blood you ransomed people for God from every tribe and language and people and nation, and you have made them a kingdom and priests to our God, and they shall reign on the earth” (Revelation 5:9, 10). Then consider the words of the apostle Paul. “But our citizenship is in heaven, and from it we await a Savior, the Lord Jesus Christ, who will transform our lowly body to be like his glorious body, by the power that enables him even to subject all things to himself” (Philippians 3:20, 21). God knows I love my country, the United States of America. There are those moments when my heart and body are moved with emotion, humility, and yes, patriotic pride—a song, a reading, a military salute at a funeral, a parade, a cemetery or memorial, standing on a battlefield imagining the sounds of battle, trying to sense the fear and courage of the soldiers engaged in a horrific struggle for their lives. 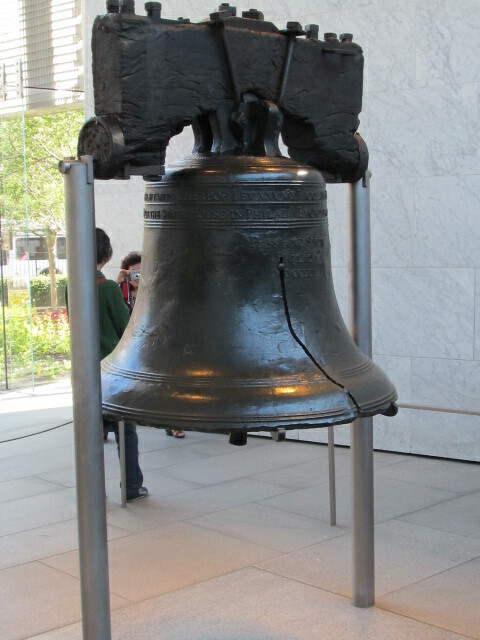 Independence Day, July 4, I pause to remember the price paid by so many for the freedoms I often take for granted. It is a day to remind myself of the responsibilities these freedoms bring. My love for my country does not blind my eyes or heart to its sins. Its sins do not blind my eyes or heart to its goodness. As my fathers before me, I give thanks to God who, in his providence, at the least allowed this nation to rise, or, for reasons which cannot be known with certainty, purposely established this nation. I give thanks to God who, for whatever reason, has blessed disciples of Jesus Christ who live in America with peace and freedom as we live lives of faith in Jesus Christ. For this I give thanks to God and pray for this continued blessing. I love this country in which I was born and live. Yet, as a follower of Jesus Christ I am a citizen of the kingdom of God. I am part of this kingdom which breaks down walls, boundaries, borders, ethnic prejudices, enmity, and hatred. All who have been redeemed by the blood of the Lamb, Jesus Christ, the Son of God, have been made the kingdom of God by Jesus Christ the Lamb of God. The followers of Christ from every tribe and language and people and nation are a holy nation, God’s people, God’s own possession, God’s one nation, God’s one people, God’s kingdom. As it is for all citizens of the kingdom of God, whatever nation in which they live, as a follower of Christ in America I am challenged to live for the glory of Christ my Lord. I am to live as a good citizen in my behavior, respecting authority, and praying for my nation and its leaders (no matter who those leaders are). Yet at the same time, as a citizen of the kingdom of God, I am to live in America as an alien, a stranger, a pilgrim. The central, core, purpose in my life as a follower of Christ is to bring glory to God by the way I live my life, through the message of Christ which I live and proclaim. What loyalty I have toward America is to be rooted in my loyalty to God. Loyalty to God and to Christ is to be the loyalty to which I give myself above all other loyalties. Jesus described his relationship with his Father. “The one who sent me is with me; he has not left me alone, for I always do what pleases him” (John 8:29). My father was skilled in all things carpentry, plumbing, electrical, masonry, and so on. I am unskilled in all such things. 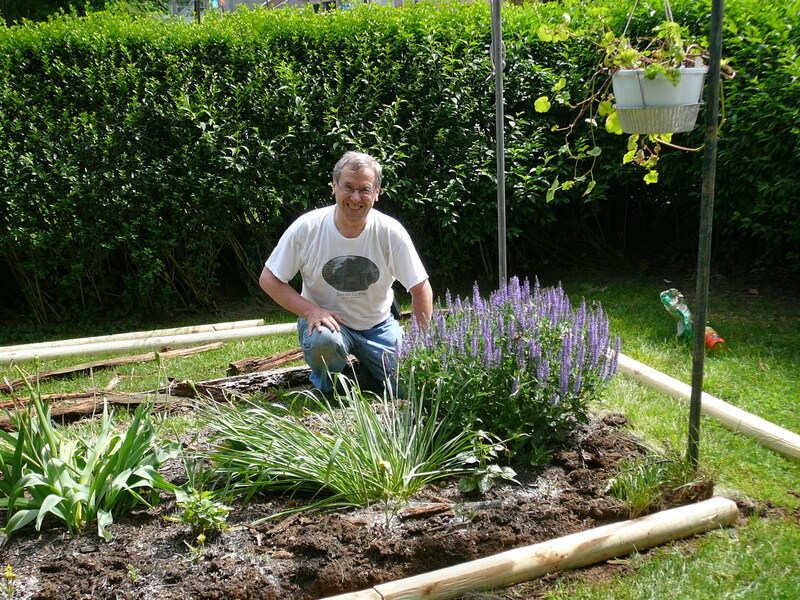 One summer visit with my parents Dad asked me if I was willing to replace the landscape timbers around one of their flower beds. He was ninety, on oxygen, his body no longer able to do what he had done all his life. I was grateful to be asked. I was very willing to do this for Dad and Mom. The finished product would not be as good as Dad’s work. My goal was to do the best I could do. All I wanted to do was to please my father. As small or insignificant as this request might sound to you, for me this was an opportunity to express gratitude to this man who, with love, had given so much of his life for his family. I purchased all the supplies, took some instruction from Dad, and went to work. Dad sat in the seat of his walker, with his portable oxygen tank. He watched. He supervised. He answered my questions. We visited. Dad was not able to stay in the yard the whole day. I finished after dark. 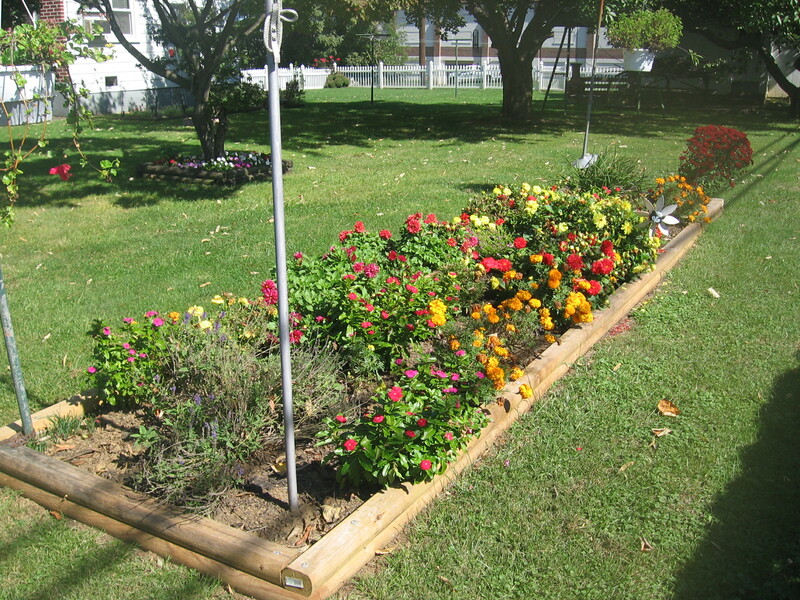 Landscape timbers around a flower bed. Not much. Work to which I gave myself to thank my father for his life, for all he had done for me. With love and gratitude all I wanted to do was please my father and to know his pleasure. The next day Dad inspected my work. I will never forget his words. “You did a better job than me.” My sixty year old heart felt ten again. Joy filled my heart. The joy of pleasing my father, of bringing him pleasure, of experiencing his pleasure. Five months later my father died. This day became all the more significant to me. The previous day’s work, this day’s words of praise from my father, were a memorable experience of intimacy with my father. This was a memorable experience of doing something worthy, not in the sense of deserving praise. Rather doing something worthy of honoring Dad. It was the expression of my gratitude to him for all that he had given me in my life. This was an experience of the joy of pleasing my father by doing something worthy of his love, worthy of him. Looking back on that summer day I am reminded that as a child of God the goal of my life is to please my heavenly Father in the things that I do. Every day provides the opportunity to please God by bearing the fruit of what is good, right, and true. Living in order to please God I seek to live a life worthy, a life honoring God, expressing gratitude for all that he has given and continues to give so freely to me. What joy to know I am pleasing God, bringing pleasure to his heart, and experiencing his pleasure, knowing intimacy with the Father. On that day when the Father inspects my work, my hope in Jesus Christ is that I will kneel before him and hear him say, “Well done, good and faithful servant” (Matthew 25:21). To know the Father’s pleasure! Isaac called his son Esau to come to him. Old, sensing his life was fading, this father said to his son, “Prepare me the kind of tasty food I like and bring it to me to eat, so that I may give you my blessing before I die” (Genesis 27:4). Dad, Mom, we all knew. Dad’s life was nearing its end. 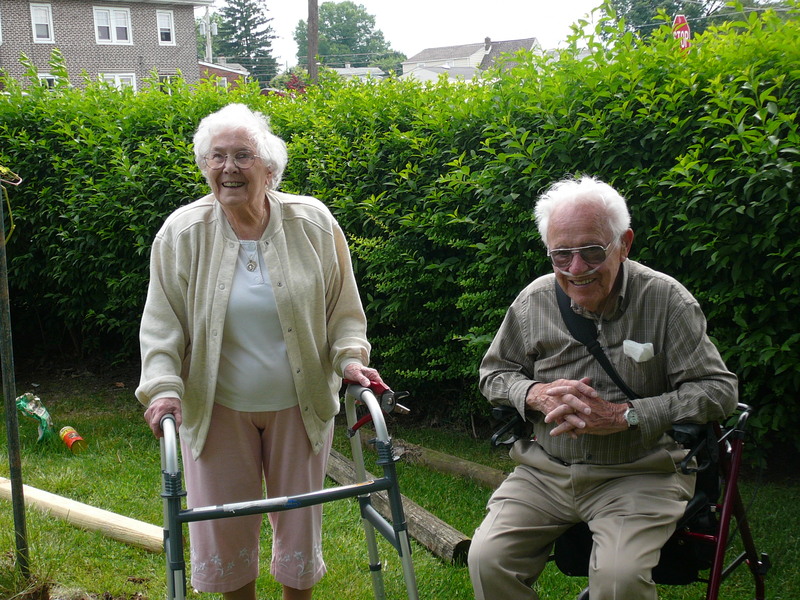 I flew to Pennsylvania to spend time with Dad and Mom. There was little doubt these were going to be my last days to visit with my father. Dad had come home from the hospital the morning of the Friday I arrived. The living room was set up with a hospital bed. Dad was too weak to be out of the bed. He was now under hospice care. The house was busy with a continual flow of visitors. Weak, tired, breathing difficult at times, but Dad’s humor was full of energy. His mind was sharp. There were jokes and laughter. His faith was keen. Many of us teared up as Dad spoke of heaven. He said he was waiting for the Lord. Dad went on to speak of Christ’s grace in healing. He reminded us of times in the gospels when Jesus healed the sick. He again spoke of the importance of faith. 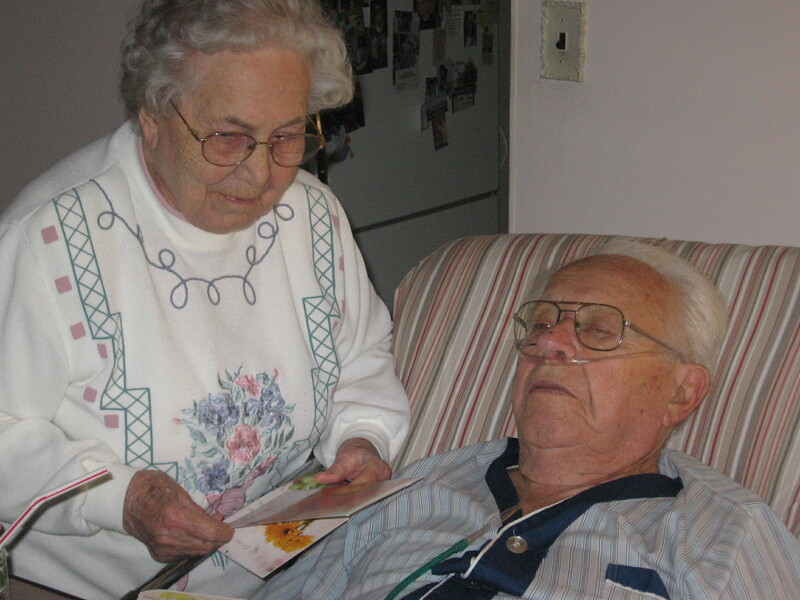 Dad was confident Christ had been with him over the years. He mentioned his heart surgery in 1981 and his heart attack in 1966 as examples of Christ being with him. Wednesday morning I woke Mom and Dad early. My friend Louie was coming to take me to the airport. I held Dad’s hand, patted and rubbed his head. More than once I hugged and kissed him. “God bless you,” Dad said. “See you—I don’t remember his exact words—in the hereafter or on the other side or…” His message was clear. Mom and I had a long, firm hug. They did not want me to leave. It was hard to leave, knowing this was most likely the last time to hold my dad, to feel his touch, to hear his voice. Yet I left with another blessing from him. And, Dad being Dad, a joke, “Don’t drag your feet on the ground while flying.” Five days later the Lord came for Dad. The Lord for whom Dad had been waiting. “So that I may give you my blessing before I die.” Dad did. A precious and cherished blessing it was and continues to be.